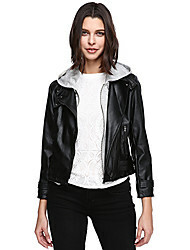 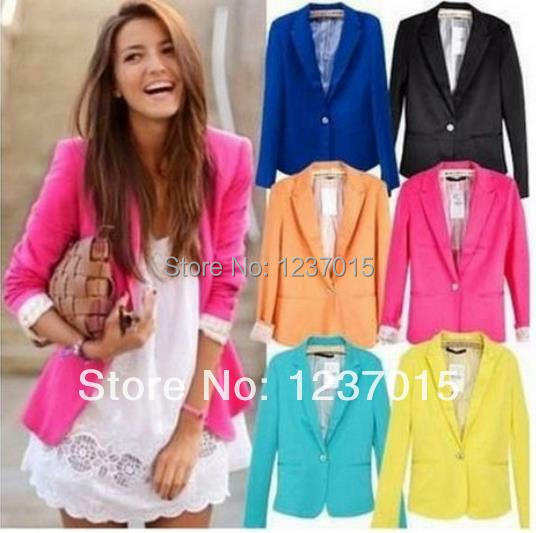 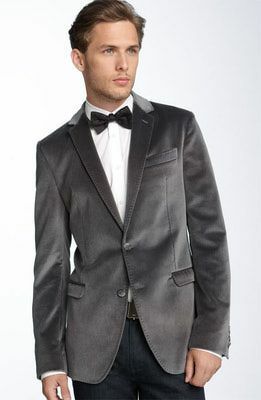 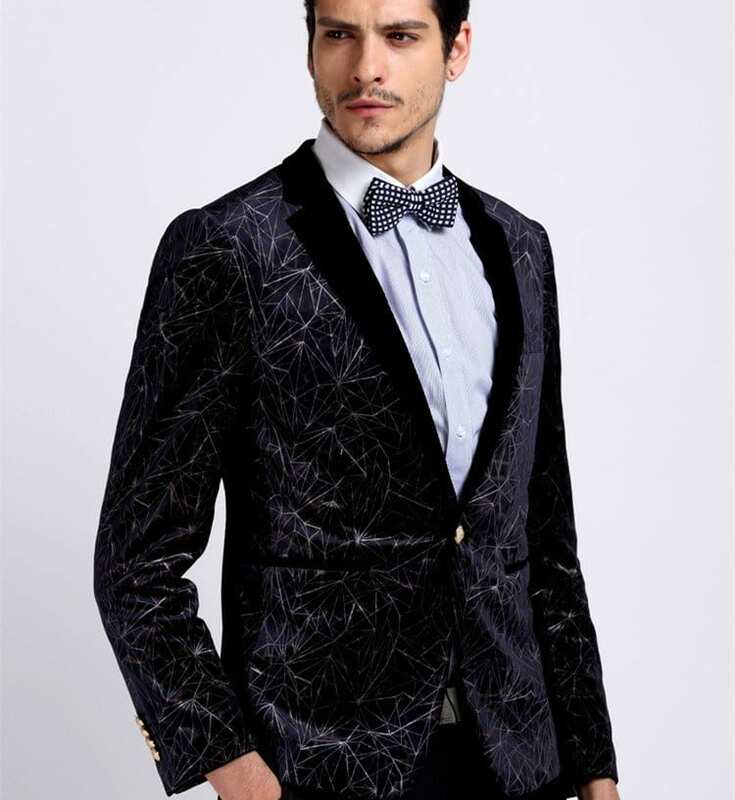 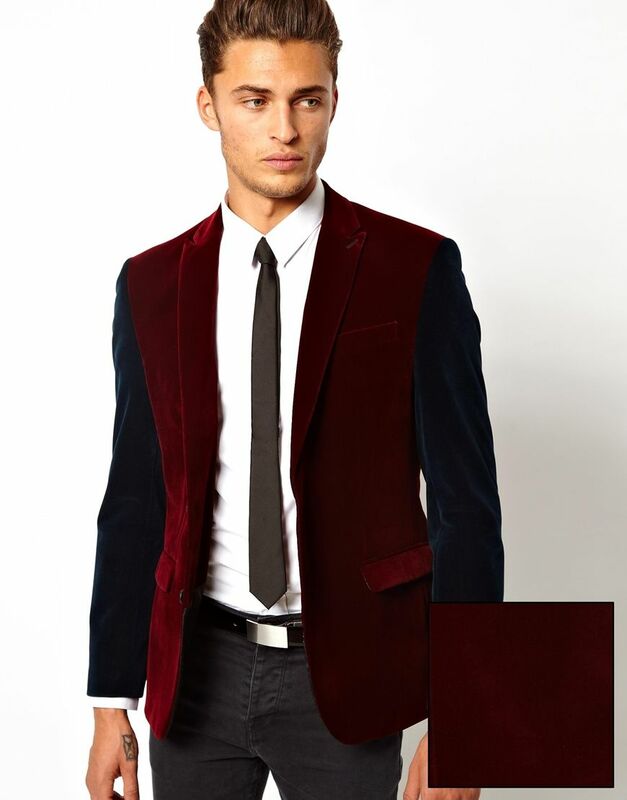 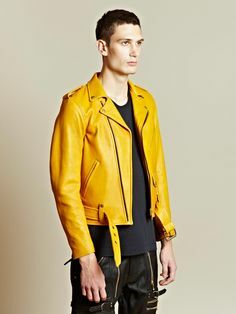 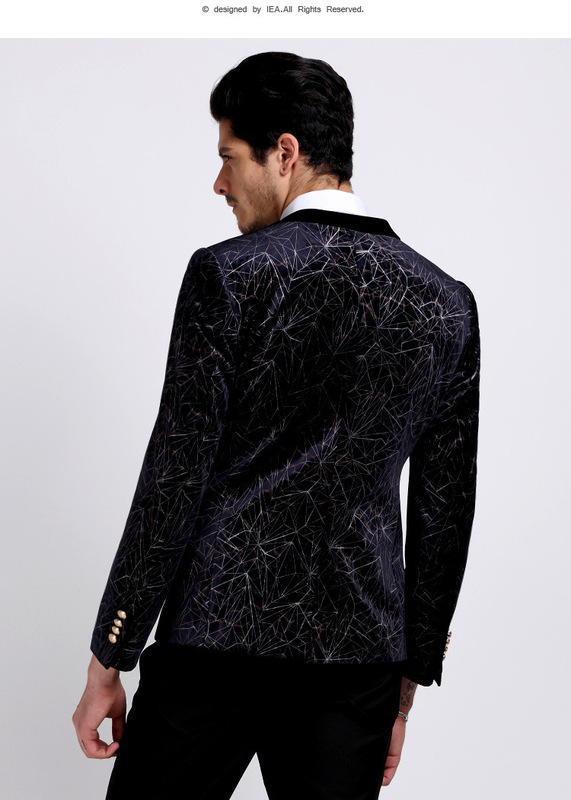 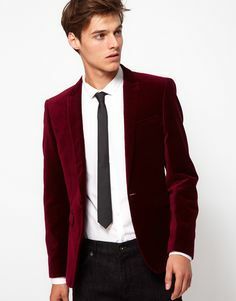 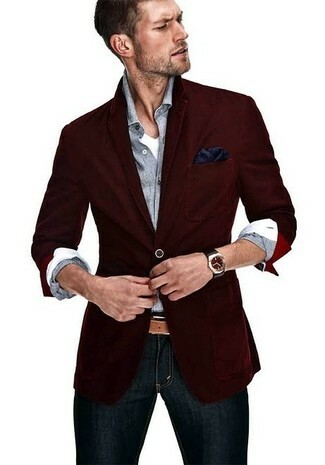 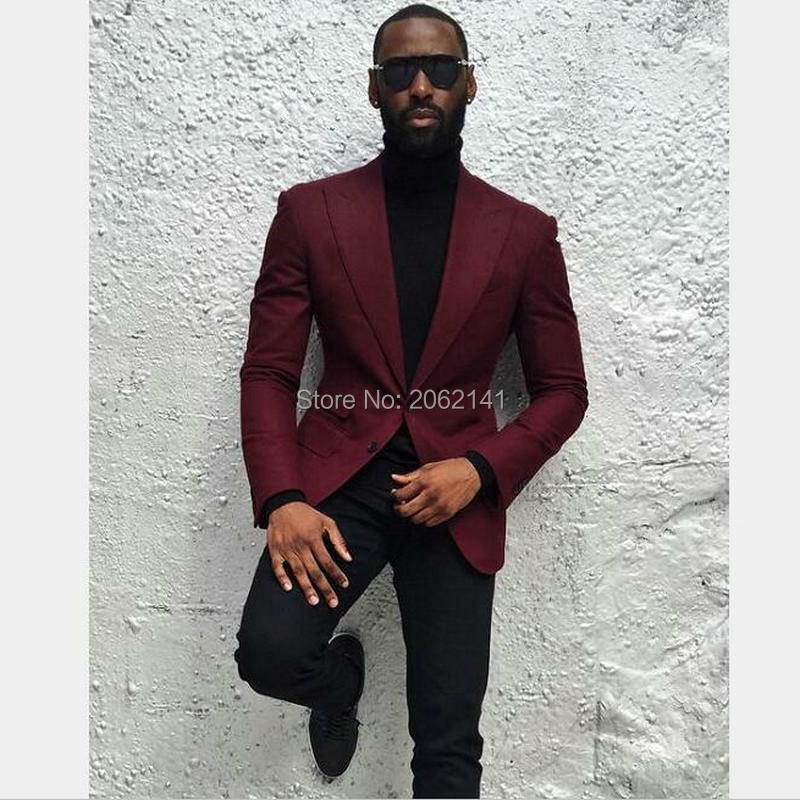 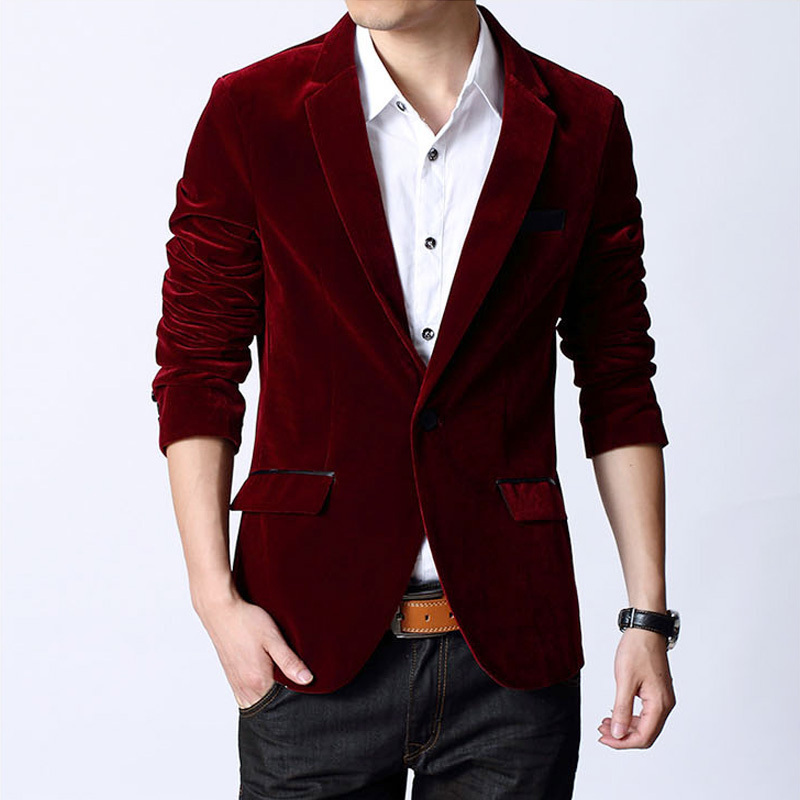 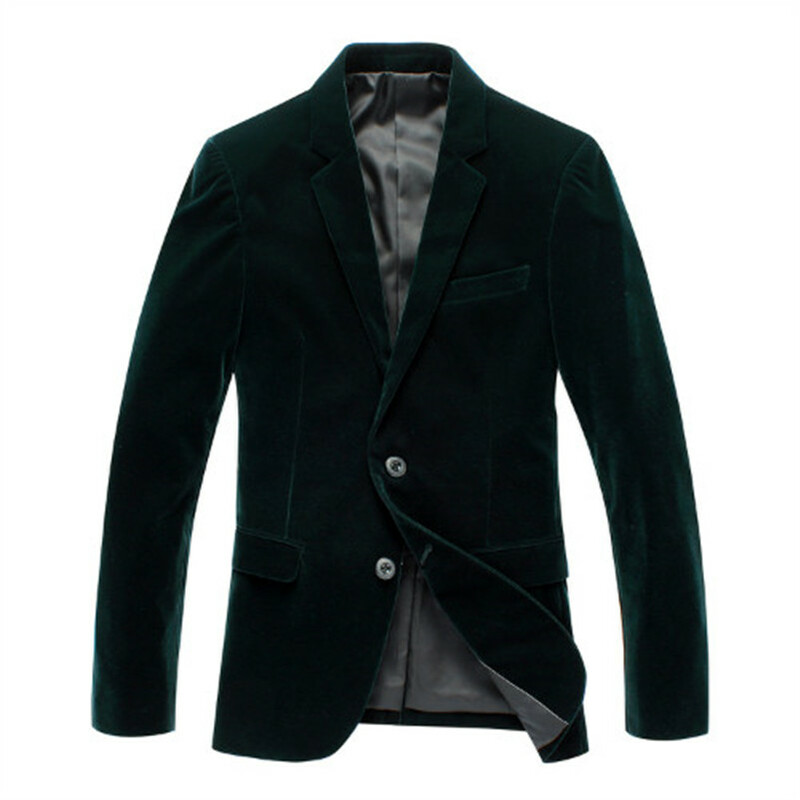 These are suggestions that will work independantly of this jacket and (hopefully) will work with it. 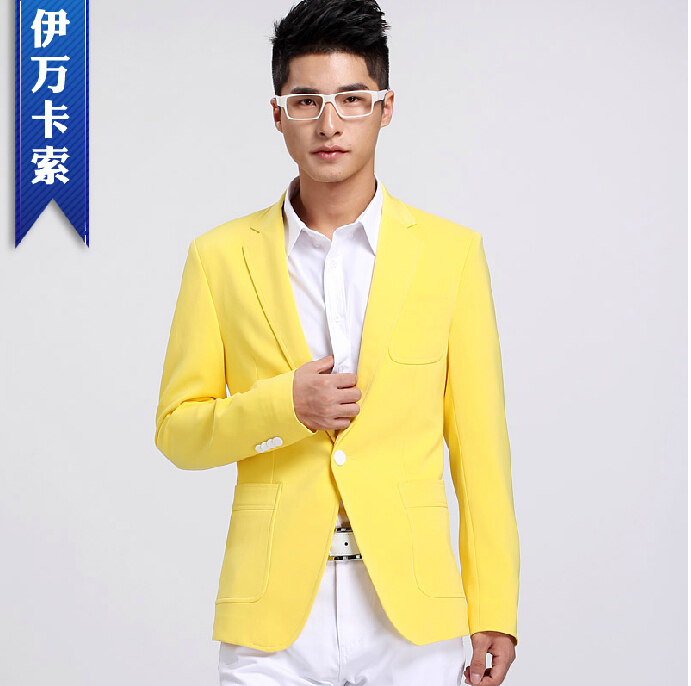 You can choose whatever manufacturers you like. 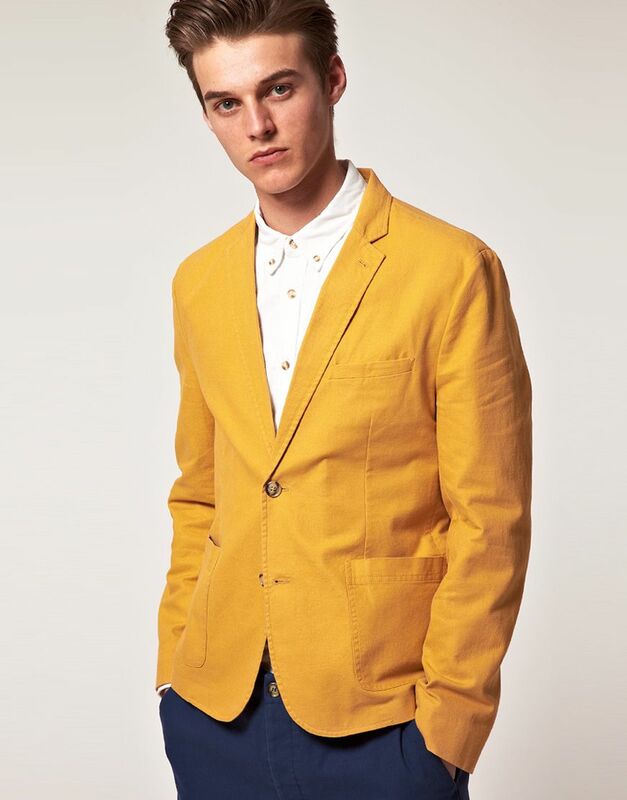 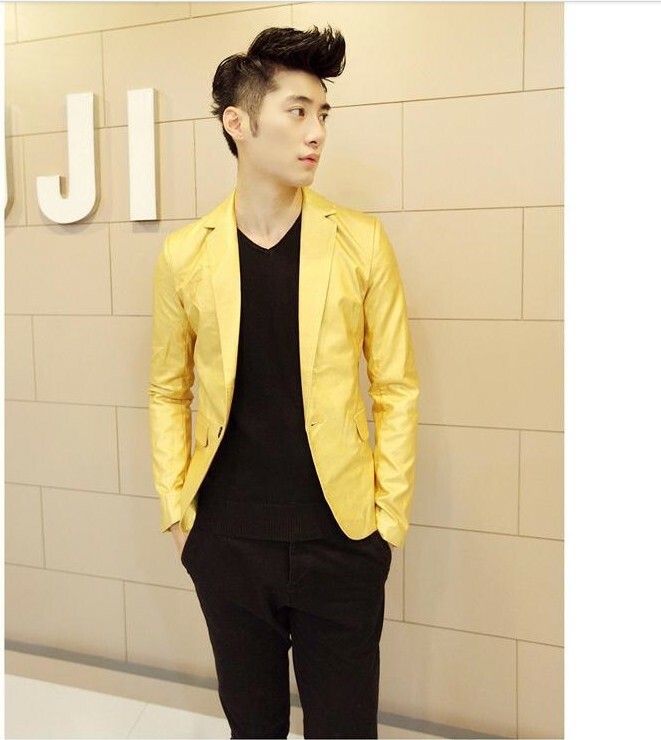 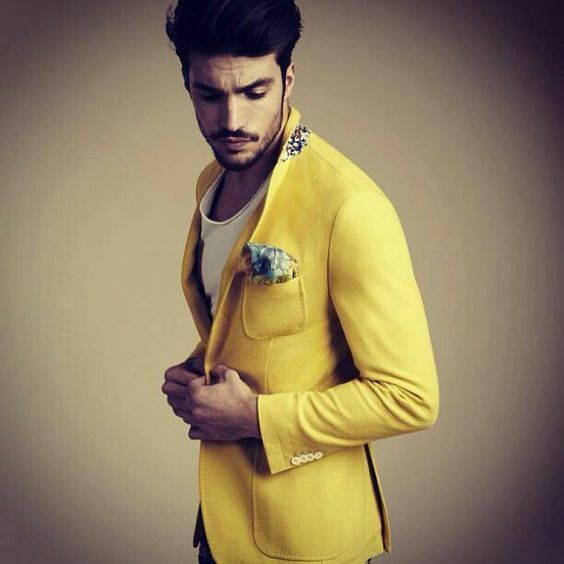 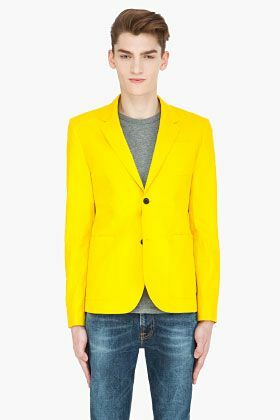 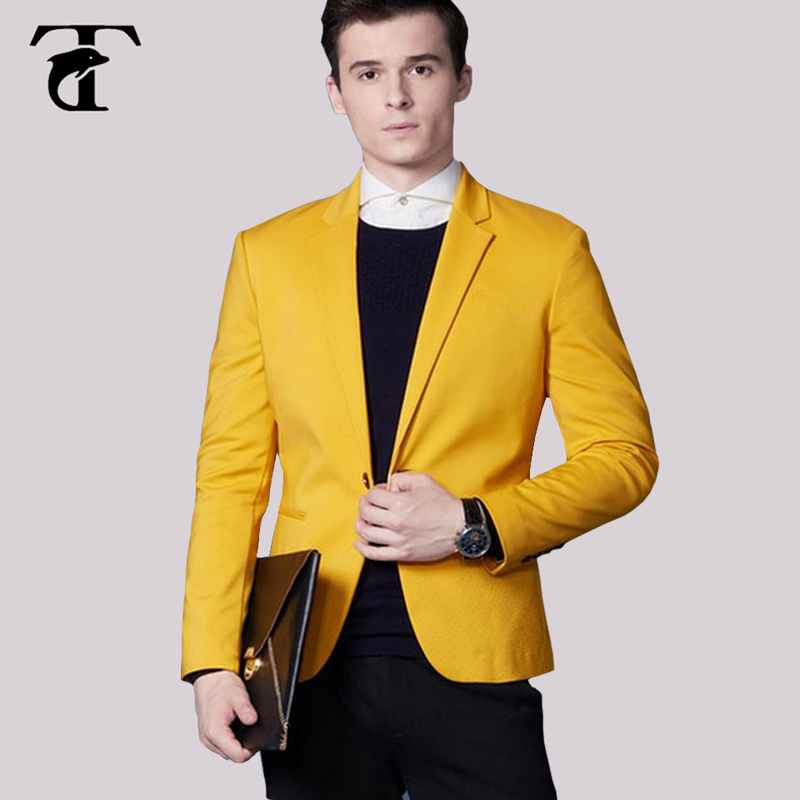 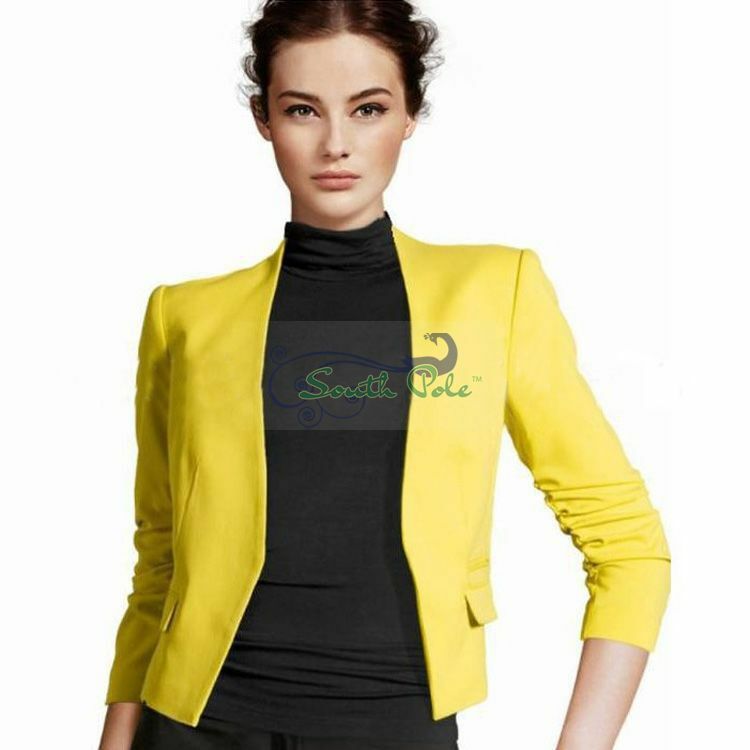 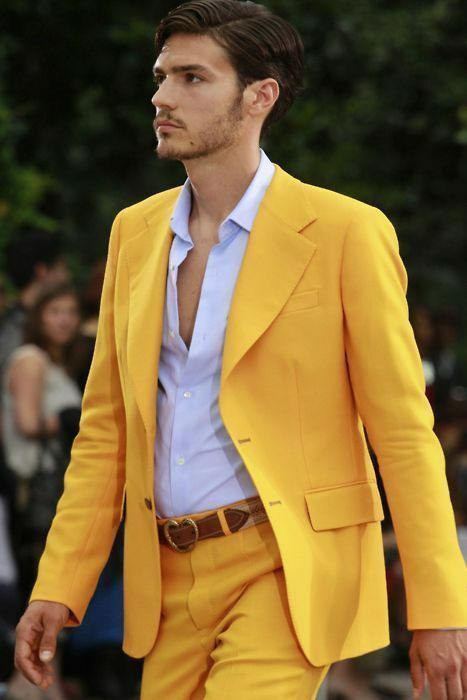 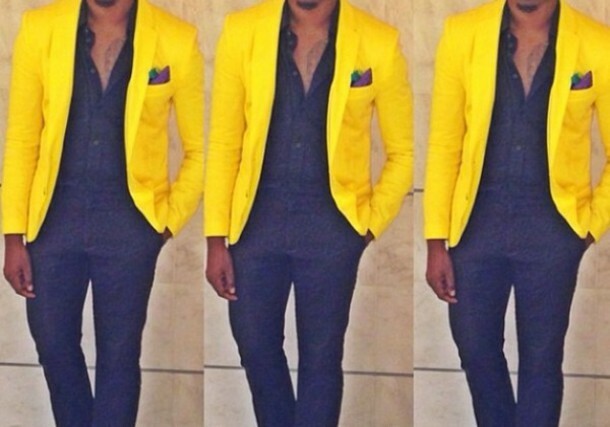 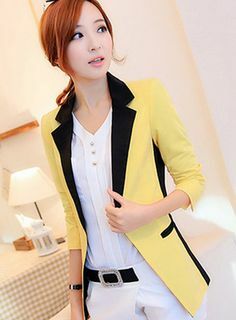 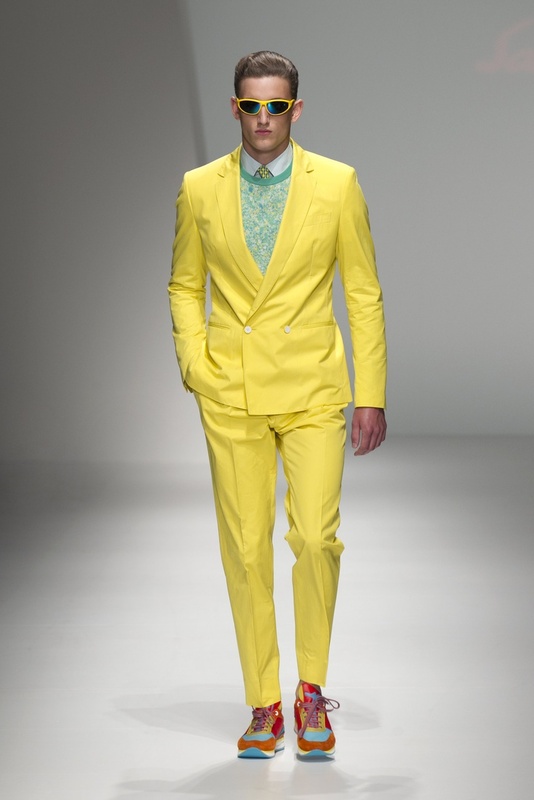 Wear a yellow blazer jacket with yellow dress pants like a true gent. 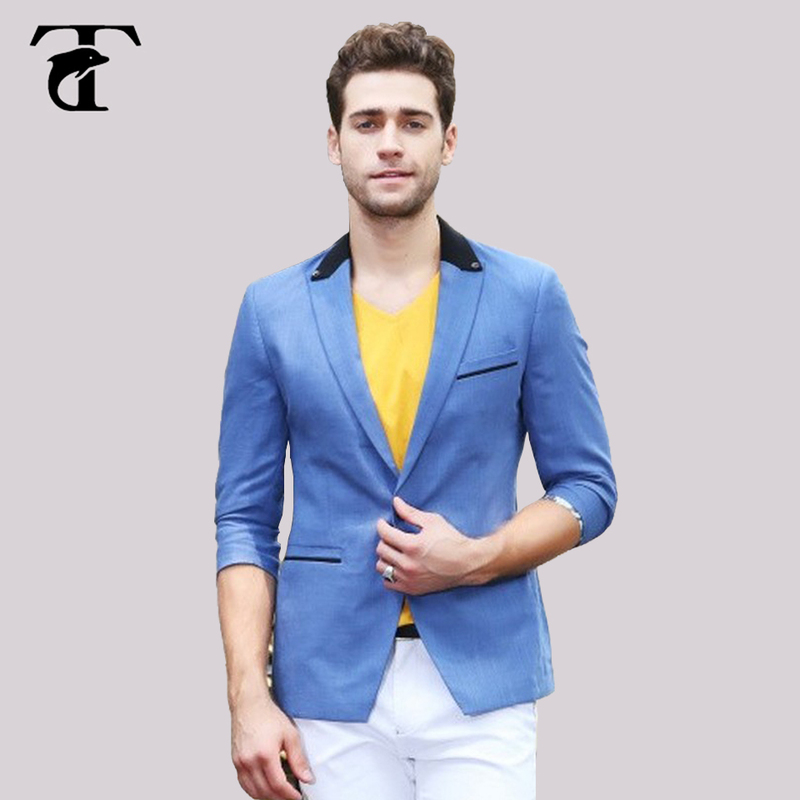 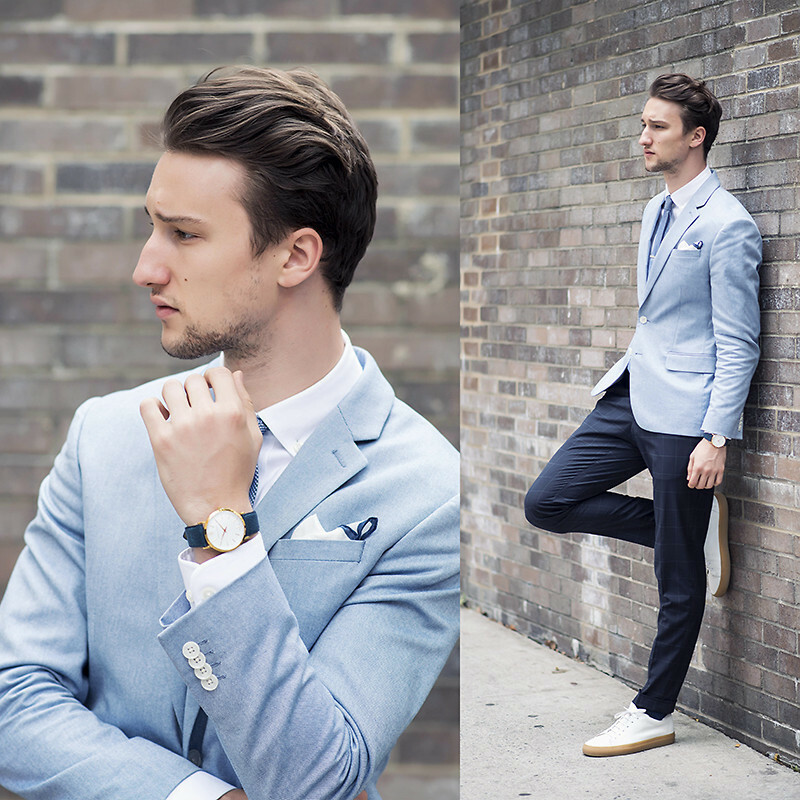 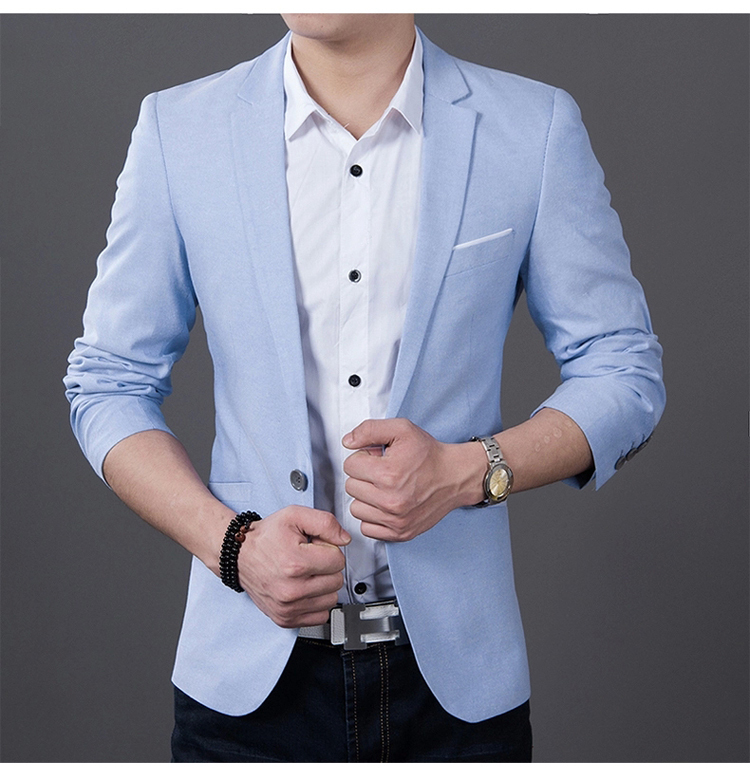 Nail that dapper look with a light blue suit jacket and baby blue dress pants. 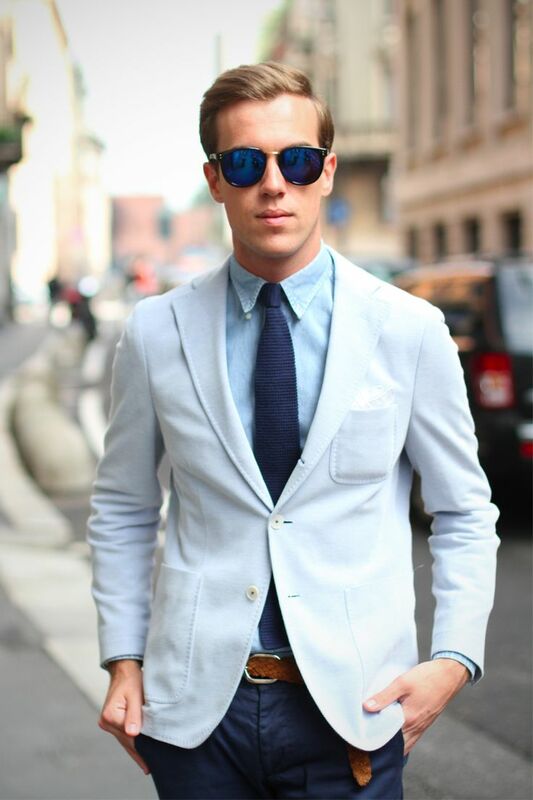 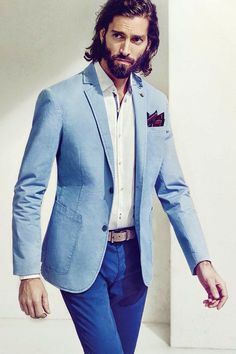 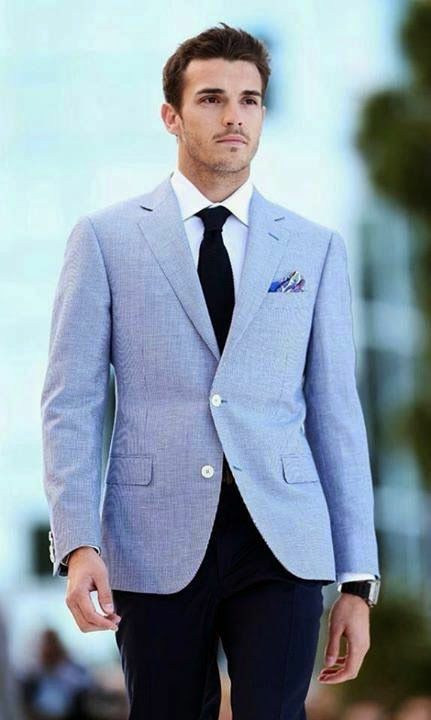 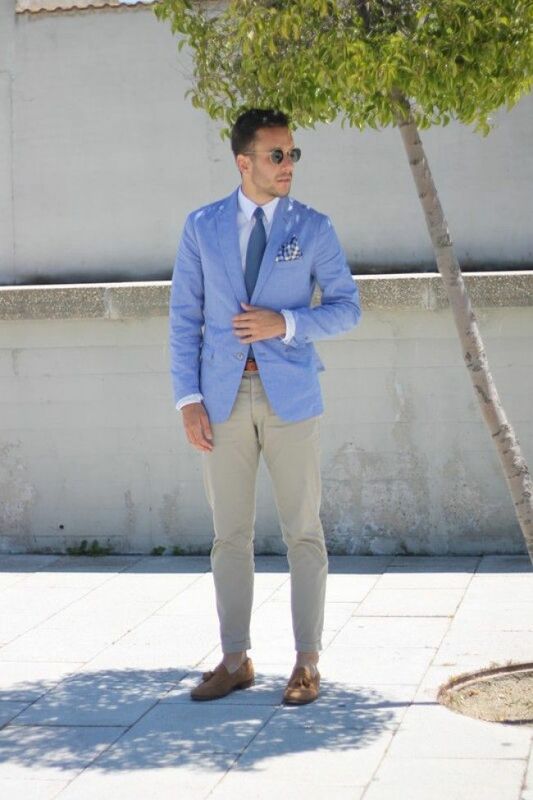 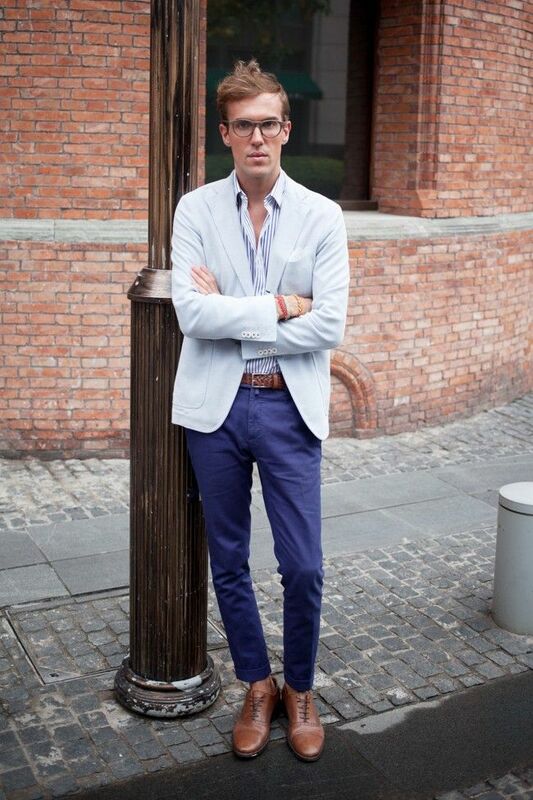 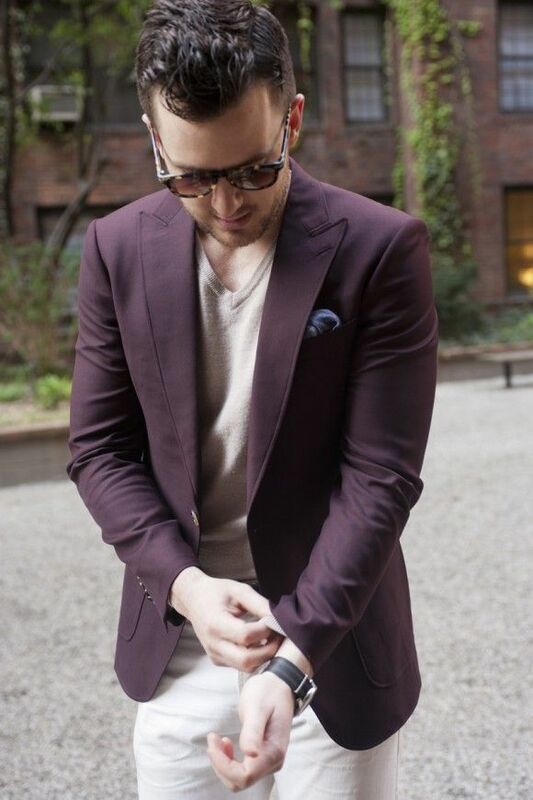 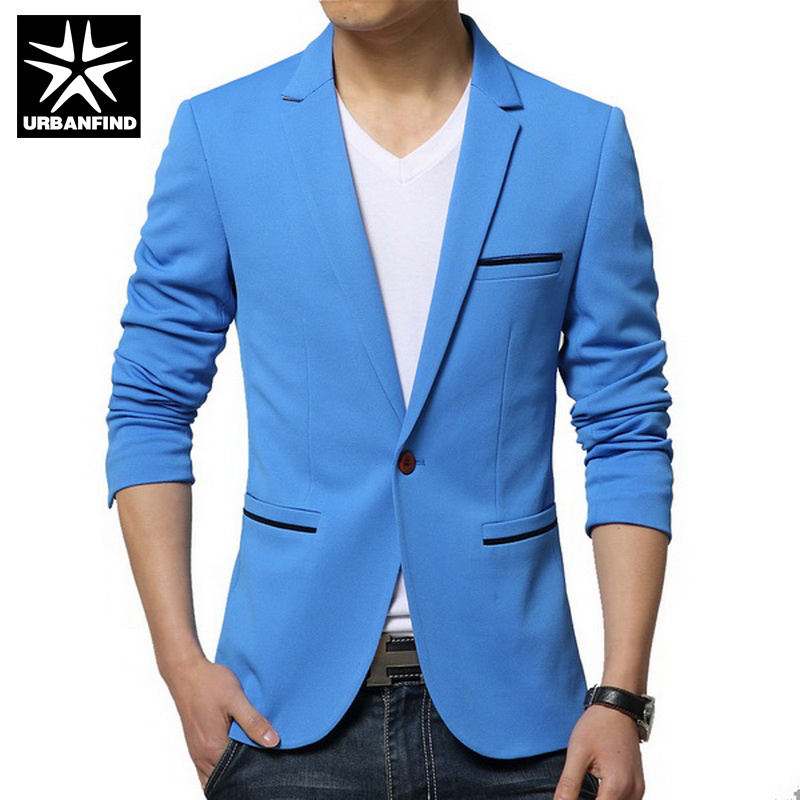 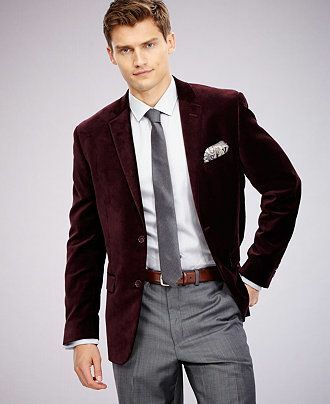 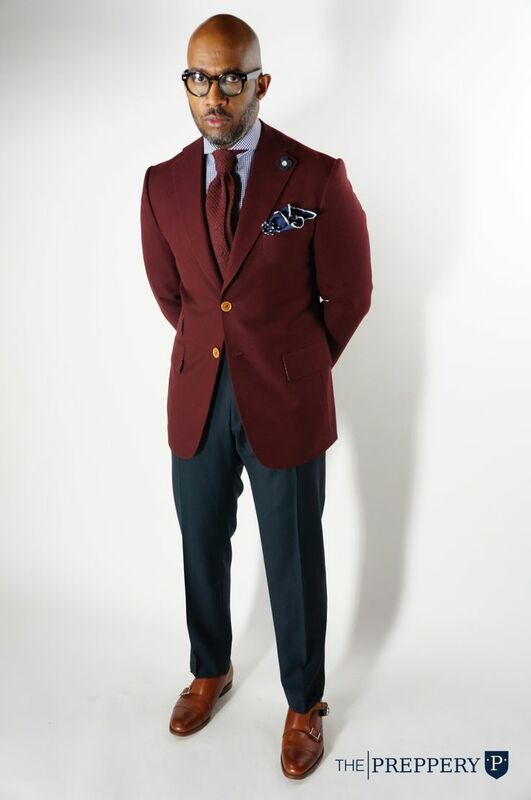 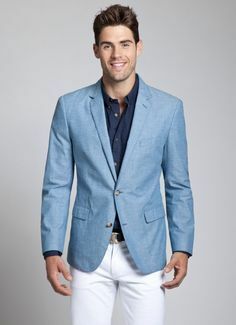 … Rock a baby blue blazer with white chino pants for drinks after work. 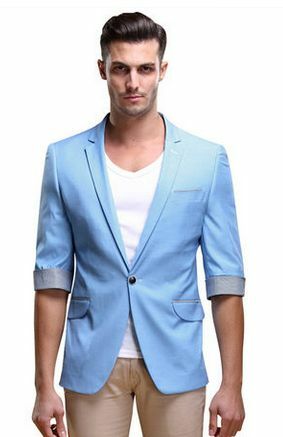 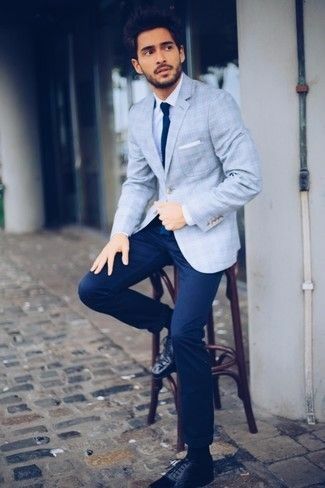 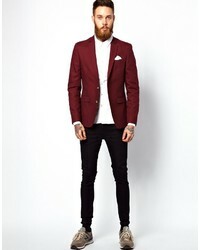 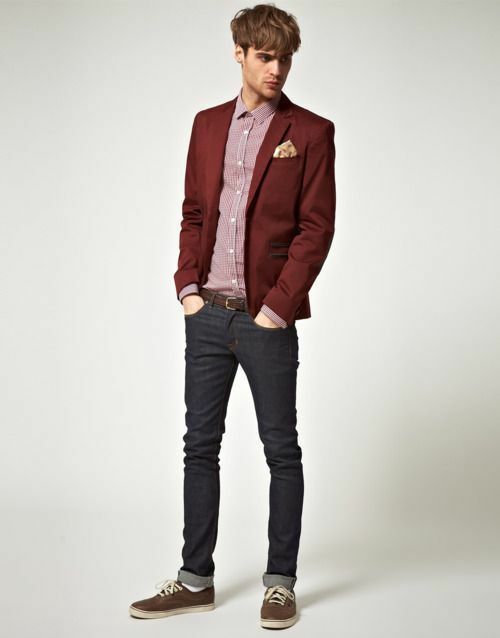 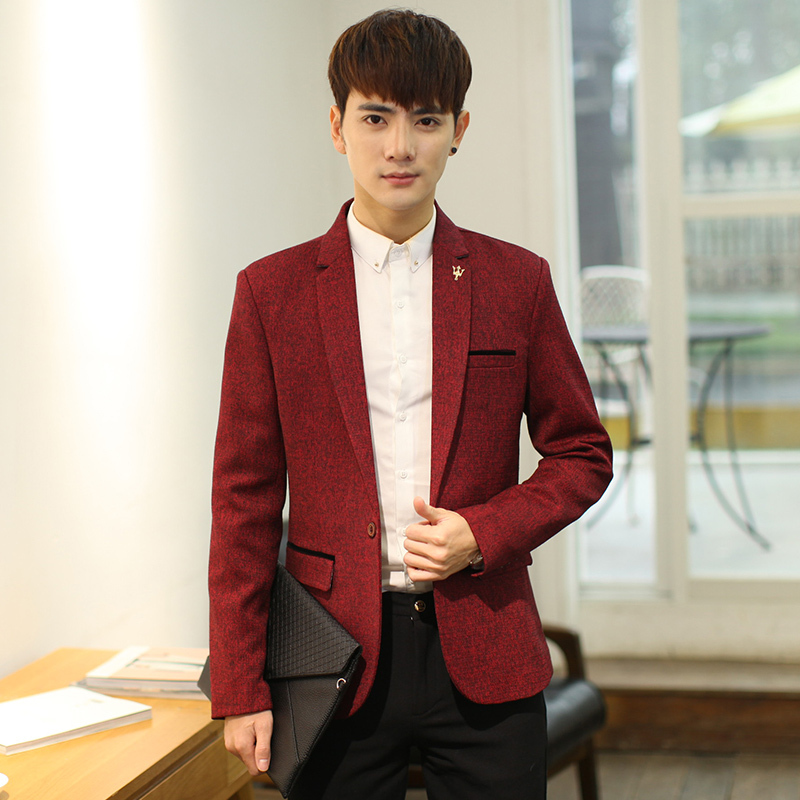 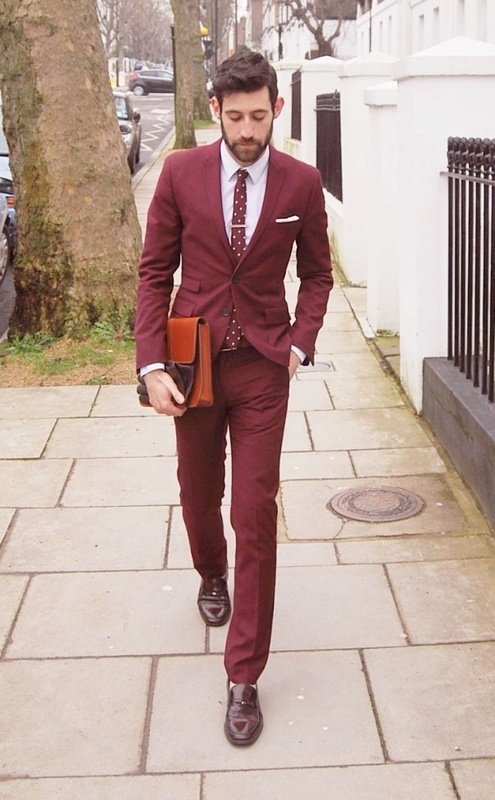 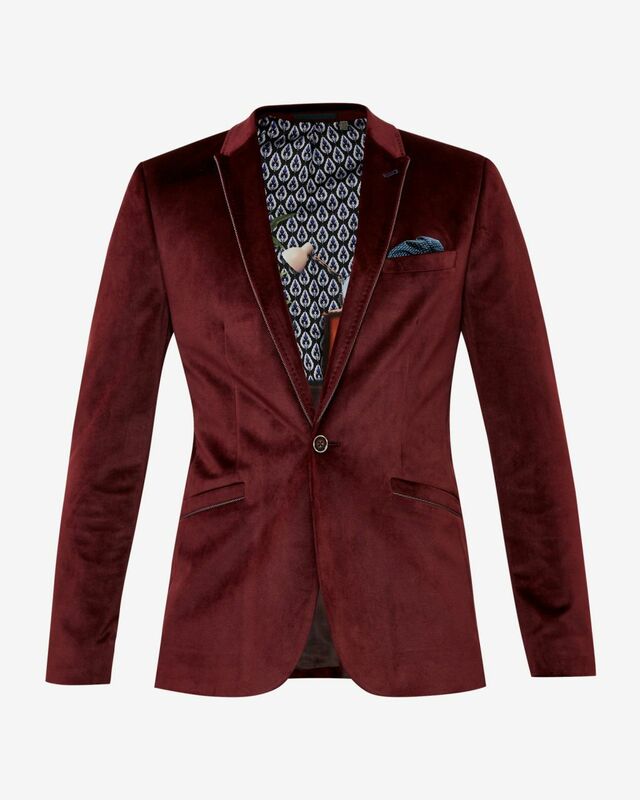 Perfect the smart casual look in a light blue blazer and red chinos.